Looking back at the past decade we can’t but mention the useful activities for the pensioners and the country performed by our public organization. It goes about not trifles but global problems, concerning the millions of our countrymen. 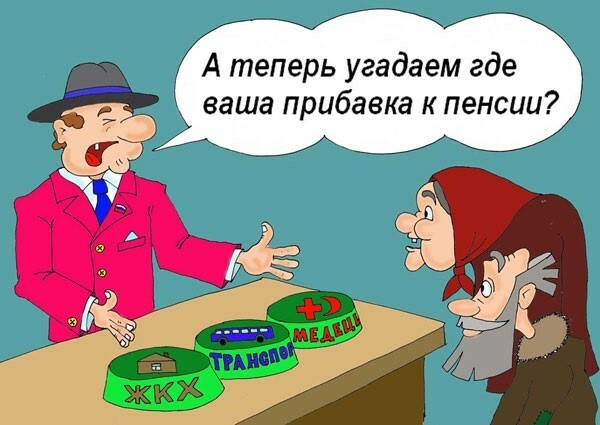 Ukrainian Association of Retired Persons could not keep out of the problem like groundless upward adjustment for drugs and medicines. That’s why we addressed several times to the former President of Ukraine Leonid Kuchma and former Prime Minister Yuliya Tymoshenko. The government responded then to our appeal. the necessary medicines means actually to kill them! UARP didn’t confine oneself to writing and publication of letters. UARP didn’t confine oneself to writing and publication of letters. Having involved the volunteers from different regions of Ukraine, we have been providing price monitoring in different pharmacies. We keep on doing it nowadays. is not affordable for 13 million seniors in Ukraine. A striking example of the protection of rights of older citizens can be UARP initiative regarding the preparation and organization of public discussion of bill About the Prohibition on Discrimination against the Senior Citizens in Ukraine, which was prepared in 2004. We provided debates of this bill at several editions of UARP newspapers 50 Plus and Our Generation magazine. Two booklets were released with text and comments to the bill. We managed also to organize several round-table discussions at the TV channels in Vinnytsya, Khmelnytsky, Odesa and Sevastopol. We have been provided help byU.S. Agency for International Development USAID, the Institute for Sustainable Communities (ISC) as part of UCAN project (Ukraine Citizen Action Network). We managed to find support of parliamentarians; thanks to them the project was lobbied on the 1st of November 2005 and registered under number 8367. It was presented on the 4th of November 2005 at the plenary session of the Parliament. Unfortunately, lack of continuity at the various convocations of the Parliament led to the fact that the bill is still to be found at the archives of the Verkhovna Rada. But we keep on fighting against the discrimination of the elderly. This bill is to be given finally legislative support. The importance and urgency of this bill was admitted by the President of the European Senior Citizens Union Dr. Bernhard Worms. He recommended all the national associations of pensioners in Europe to develop similar legal documents. of the simple truth to politicians and general public. to the development of the country, but also violate human rights. the President of European Senior Citizens Union. The course aimed at the rejuvenation of the administrative apparatus both in public administration and in the sphere of production shouldn’t become a purpose itself. We are deeply convinced, that this turns often to be a competition for the Guinness Book of Records when someone starts boasting that there is a ministry with the youngest minister our country has ever had. However, due to the imperfection of the legislative base in the field of labour relations we face the egregious facts of the deprivation of energetic, experienced and active employees of the government service only because they’re 60 or 55 years old. When the media reported on the planned deprivation of the Foreign Minister AnatoliyZlenko and the Head of Kyiv City State Administration OleksandrOmelchenko because of the age qualification, UARP appealed to the Constitutional Court of Ukraine regarding the constitutionality of legislation with the view to the age limit during public service. Unfortunately, the Constitutional Court refused to consider the appeal of UARP because the Association is not the subject to the law. 47 people’s deputies appealed the the Constitutional Court with constitutional petition regarding the consideration of the constitutionality of the provisions of the article 23 (On Civil Service), article 18 (On Service in Local Government), article 42 (On the diplomatic service).With regard to the legislation of Ukraine, the age limit in civil service, local government as well as diplomatic service makes up 60 years for men and 55 years for women. In response to this the Constitutional Court answered an inquiry that the stated law provisions do not contradict with the Constitution. when everything you can do is the job. As you can see, it is a difficult job to fight against the discrimination of citizens regarding the age limit, and we are determined to find like-minded people while initiating both the passage of the law and appropriate amendments to the Constitution of Ukraine. The Basic Law should clearly stipulate that discrimination of the people with the view to the age limit is prohibited. UARP reacted to such negative phenomena like disregard of rights and interests of consumers of financial services, ungrounded increase of utility tariffs, destruction of monuments of history and culture in the capital of Ukraine, cutting down of parks and gardens etc. These problems were covered in the special issues of UARP newspaper 50 plus (No.24-26). After analyzing the situation with allocation of land plots for construction in Kiev, including its historical center, noting a great number of violations, corruption and other abuses with regard to the construction of various objects that have not been provided by the general plan, UARP realized that that the situation took charge and appealed to the President, Parliament and the government. The subject of the appeal was the consideration of moving of the capital of Ukraine to another city in order to save the ancient Kyiv from the frenzied attack of various business centers, casinos, hypermarkets and chaotic build-up. in the capitals and returned to the province in this form. Note that UARP initiatives were called to respond to the urgent problems and arouse the public opinion. Skeptics were convinced that our proposal to move the capital to another city would not cause the attention of the authorities. Many people’s deputies opposed this proposal indeed. But we’ve got several positive responses as our idea was supported. A year after this publication had the following continuation: the Head of Kyiv Regional State Administration proposed to relieve the capital from various houses, offices and transport at least partially. He was planning to move the regional center of Kyiv to another city Kiev region. Our association could not but react when the extremely chaotic and inconsistent campaign on refinancing and recapitalization started in the state. An unprecedented, massive violation of the rights of consumers of financial services begun, herewith a great number of depositors could not get their deposits, and those who entered into contracts for the loans suffered the unilateral revision of rates and have lost even the purchased apartments, cars, etc. umbrella on a sunny day to take it back when it rains. We developed quickly our own program of healthy banking and financial sector. The proposals were sent to the President, Prime Minister and the Speaker of Ukraine. The essence of our proposal was presented in the press and internet. As the developed program has a universal character, we have sent our proposals to foreign leaders at the height of global financial crisis. It is significant that a positive response within a day from the chancery of the German Chancellor Angela Merkel. All we are people and the government too. Unfortunately, Ukrainian government did not give any essential response. But this did not make us refuse of active response to the processes that affect the interests of millions of our countrymen, especially in the social and economic sphere. The Association took an active position regarding such urgent issues as incredibly big gap between the minimum and maximum scale of pension. The authorities intend to increase the retirement age in Ukraine dramatically and try to deprive the working pensioners of their pensions. UARP is fighting to make an end to these problems and other phenomena of social injustice. We have to admit that certain UARP proposals received approval of the participants of the International Conference on Pension Reform, held on the 28 – 29th of April 2010 in Kyiv.